This is some awesomely HOT jerky. 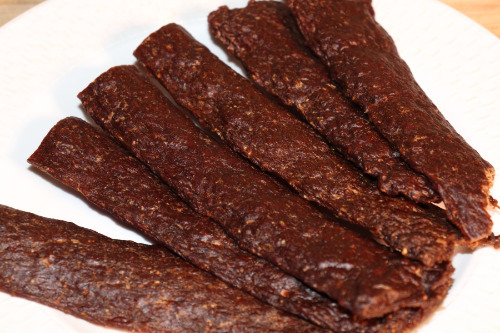 Homemade with secret spices and marinading process, You will get a jerky taste that Taste Like a Meal. This is our signature jerky and has taken us about 5 year to prefect the balance of spicy hot,flavor and texture. You will get 5.0 oz of premium beef jerky per bag. Our jerky is made fresh to order, NO additives added. !!!WARNING!!! THIS JERKY IS VERY VERY HOT!! !